As soon as I saw 5 Inches and Up carrying that Maison Martin Margiela rug clutch I knew I wanted to make something similar. 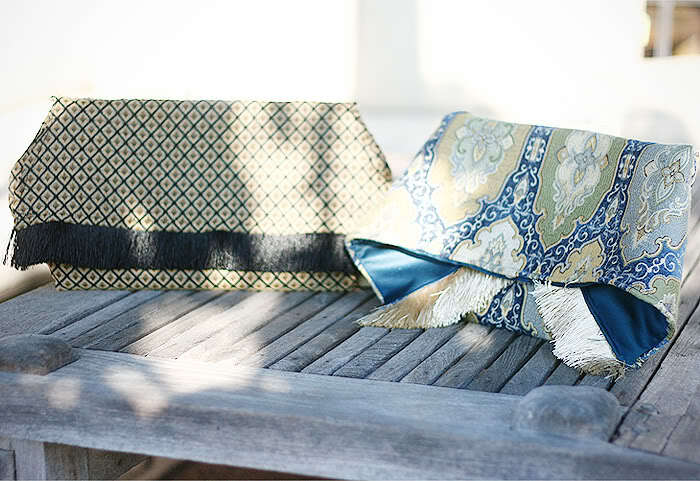 I originally looked at some rugs that were much more similar to the Margiela version, but rugs were too thick to fold, resulting in a heavy clutch. So I went the route of 'inspired' by. Above you can see I made mini-paper patterns for sake of trial and error. 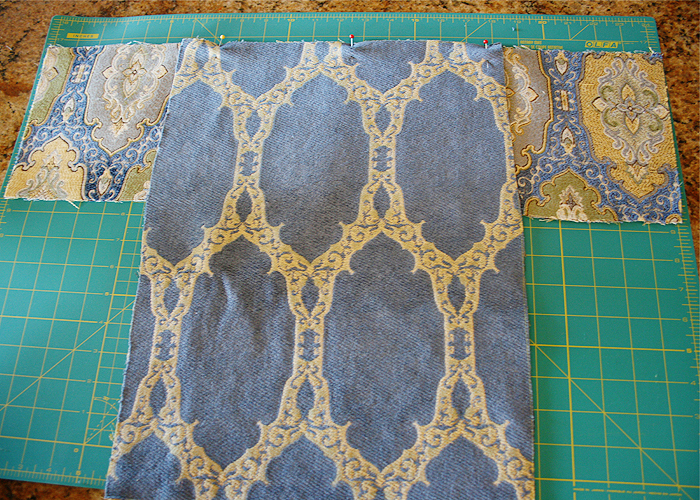 After finalizing my ideas for the patterns that I wanted to use, I made larger versions and got to cutting my fabric. Step one is easy, of course. Cut your fabric. 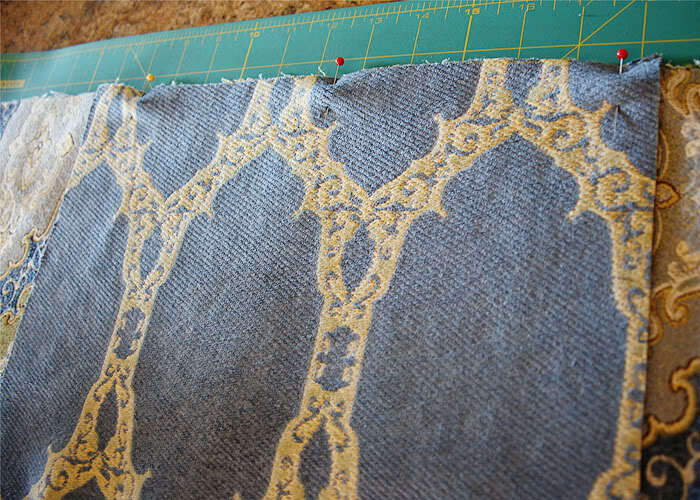 Don't forget to add your seam allowance on your pattern. 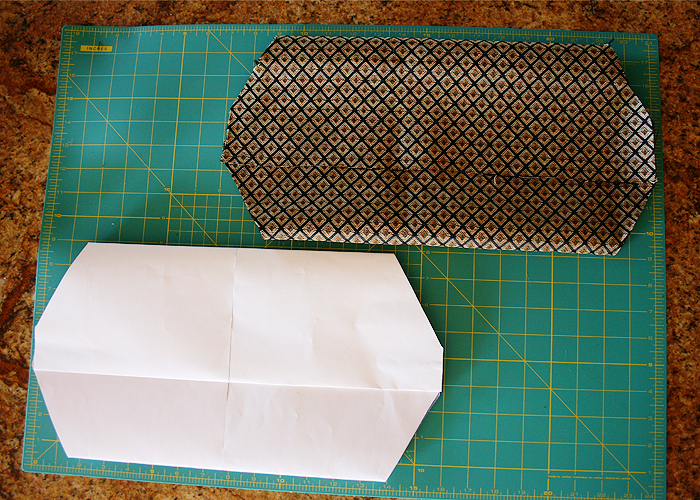 As you can see here, take your two pattern pieces, right sides facing. Pin the tops together, making a "T" shape. 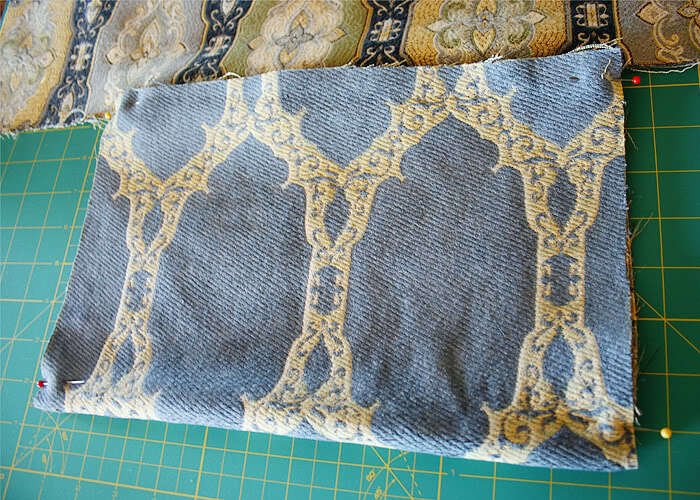 Sew along that edge! Now you have your first seam. 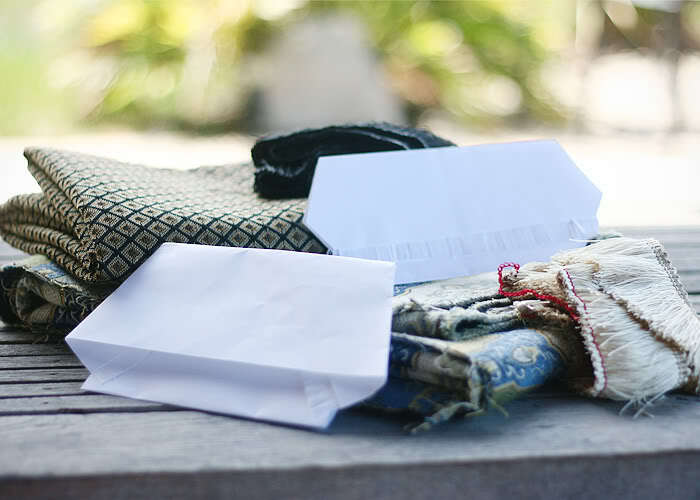 You want to fold the "bag" part of the clutch up, right sides facing again. 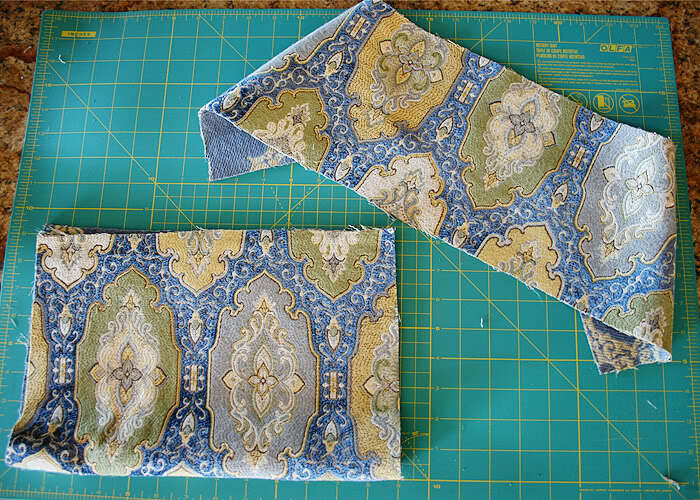 Sew the side seams. Pictured above for clarification, of course. 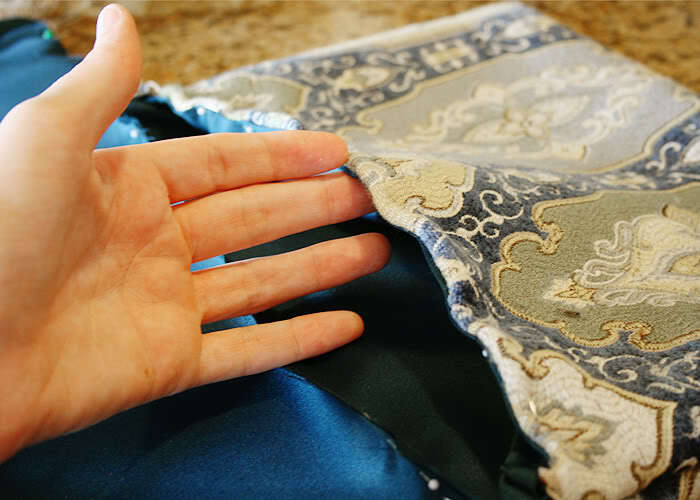 Once you sew those side seams, you can flip it inside out, and now you should have what is in the photo above. Woohoo!!! Now we need to add some fringe. Take your time with these suckers. To make it look like the Margiela clutch, fold the top flap down (as if you were shutting the clutch), then tuck the overlapping pieces of fabric underneath. You can see what I mean in the image for step one. Mess around with this until you feel you have it right. For the closure, you can either buy some velcro or just get a magnetic snap! I've never worked with fringe before. 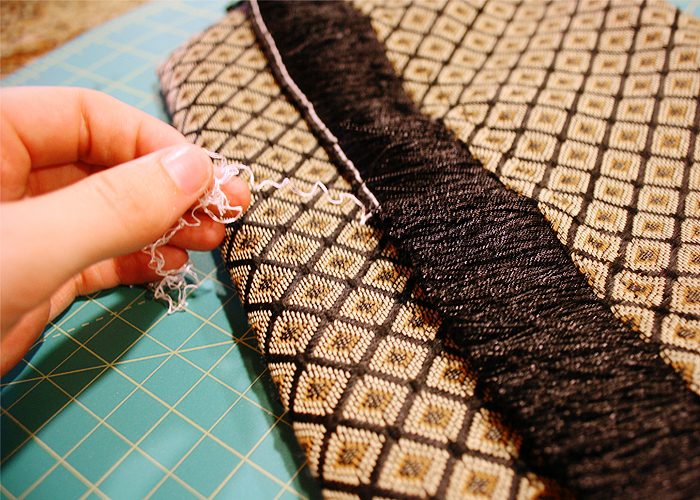 It was a satisfying feeling to pull off the string that keeps the fringe in place while you sew. 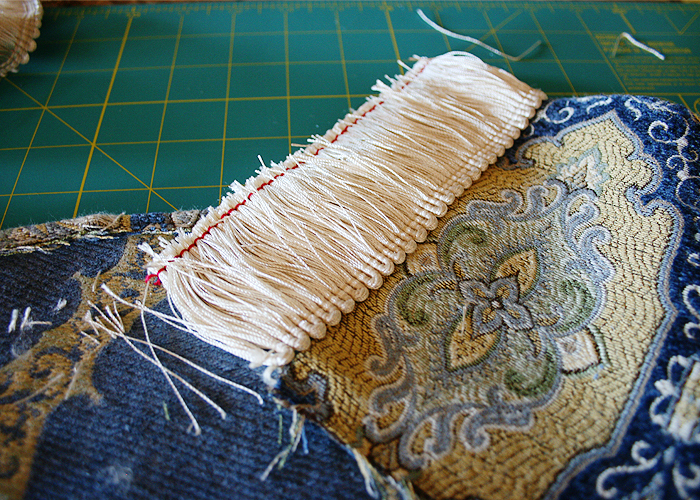 Again, sew sides, add lining and fringe, and something to keep your clutch closed. Woah, that was one long post. Happy DIY-ing! ooooh! Definitely going to try out this DIY sometime soon! Love the tassle detailing. Amazing post!!! Now I know what I am gonna be doing my nextholiday!!! Just found your blog and I must say all your posts are AMAZING!!! You are very talented young lady!!! Gonna be waiting for your new posts!!! Have a fabulous summer day!